Our next great Spaghetti Takeout is on April 14 from 12 to 5pm. Please use the Slovak Legion (Bar Entrance). Come on down to enjoy Carmine’s delicious meatballs. Bring your own container or purchase one from us. Thank you for supporting the Slovak Legion fundraising efforts. Just over the bridge. 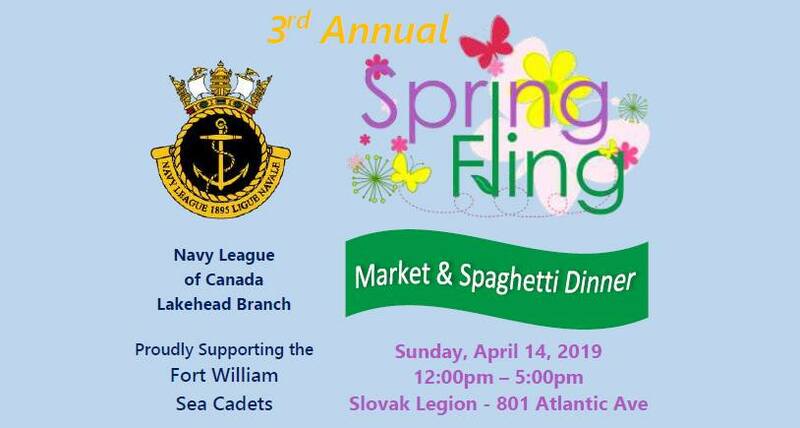 The Navy League of Canada Lakehead Branch presents our 3rd Annual Spring Fling Market & Spaghetti Dinner on Sunday, April 14, 2019, 12 noon to 5:00pm in support of the Fort William Sea Cadets. We’re filling the main hall at the Slovak Legion with local vendors and artists showcasing their products. Come and enjoy a walk around our event, browse the many vendor tables, buy your 50/50 tickets for your chance to win up to $5000 cash at our upcoming draw in June. 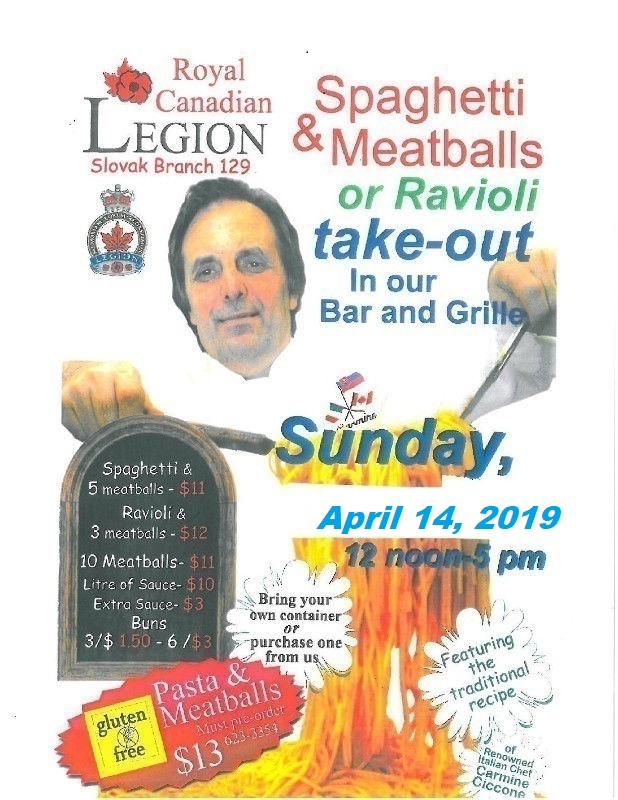 Afterwards enjoy a delicious Spaghetti Dinner from the Slovak Legion who will be offering take-out or a sit-down Spaghetti Dinner.